The way your feet are positioned relative to the target line is called the alignment. 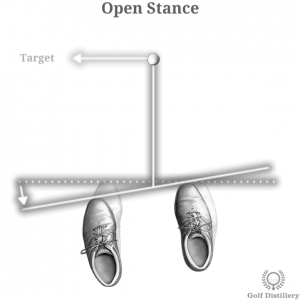 Specifically, the line formed between your two feet and how it is positioned relative to the target line is of particular interest in setting up for a shot. For normal shots that are meant to travel straight you will likely want to place your feet in a square stance position. 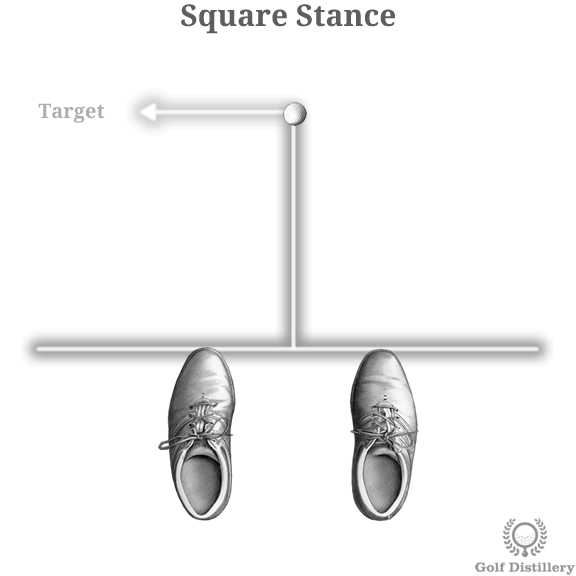 In order to adopt this setup, the line between your two feet will be parallel to the target line. Indeed, if it were extended all the way to the green for example, that line would travel just inside of the hole at the same distance as exists between your feet and the ball at address. There are instances where you would want to open your stance and move away from the normal square position. In that setup, you would see the line formed between your two feet move away from the target line the further down you move away from the ball. 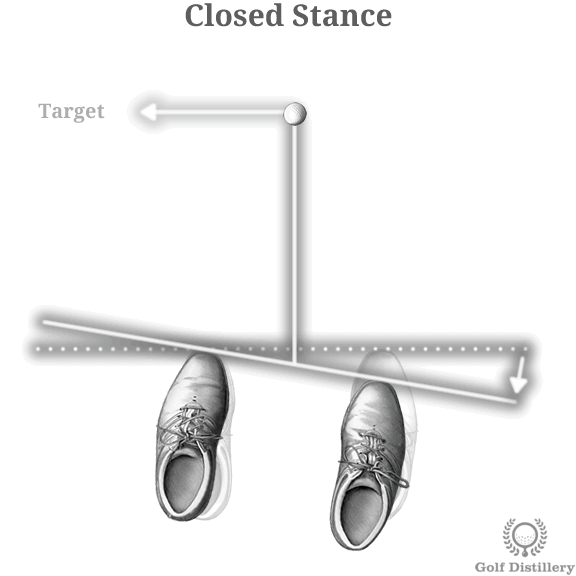 That position is achieved by retreating your left foot back a little and rotating your right foot slightly. Finally, there are also instances where you would want to close your stance and move away from the normal square (parallel) stance. 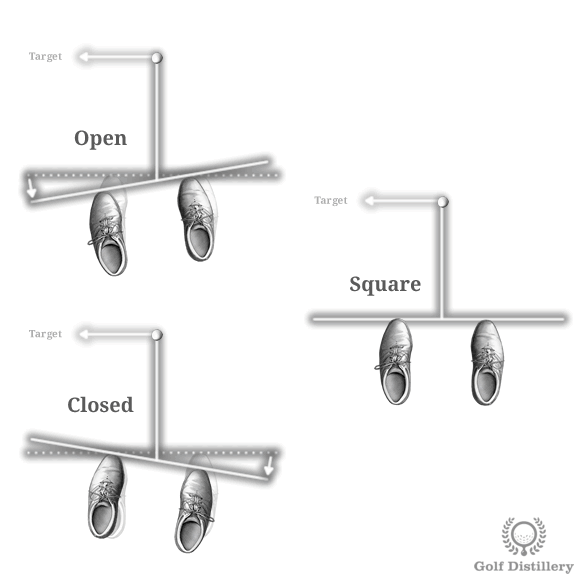 In this setup, you would see the line formed by your two feet cross with the target line in front of the target. This position is achieved by moving your right foot back slightly and rotating your left foot slightly so that both are parallel to each other.